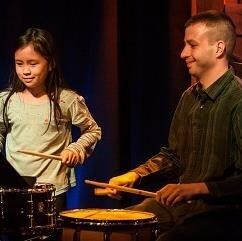 Casey Jones is an active percussionist and private teacher in the Washington D.C. area. Playing everything from orchestral percussion, to jazz and popular styles on drum set, to solo and chamber works, he is well versed in a variety of genres and instruments. He studied music performance at Virginia Commonwealth University where he learned classical techniques from Dr. Kristopher Keeton and drum set from Brian Jones. As an active member of many ensembles there he performed at events such as the New York Wind Band Festival at Carnegie Hall, the Virginia Music Educators Association Conference and the Percussive Arts Society's Day of Percussion. Request Lessons with CASEY JONES today!